Yan Ruyi serves the best dim sum and peking duck in Zurich. There, I’ve said it. I know there will be people who disagree, but they’re wrong. 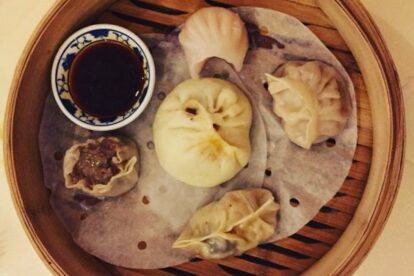 Nowhere will you get chewier, more flavoursome dumplings or crispier duck, wrapped in little, puffy, homemade pancakes. They also have loads of other things going for them. Friendly staff, a cozy restaurant, a great house wine (try the rioja), reasonable prices etc, but it’s the dimsum and duck that win out (or “double D” as I like to say). The restaurant is in Wollishofen, so a tram ride from the centre of the city, but it’s still worth the visit. If it’s a nice day or evening, stroll along the lake after dinner and work off the crispy duck skin (you could walk all the way back to the city centre in about 30 minutes). Or just order extra and scoff it lakeside under the cover of darkness… I won’t judge you.